Travel information: from Kuala Lumpur to Batang Kali takes about 1 and half hour. 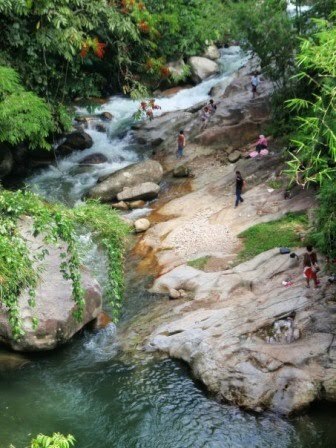 Some visitors name this place as the Batang Kali waterfall under the bridge. 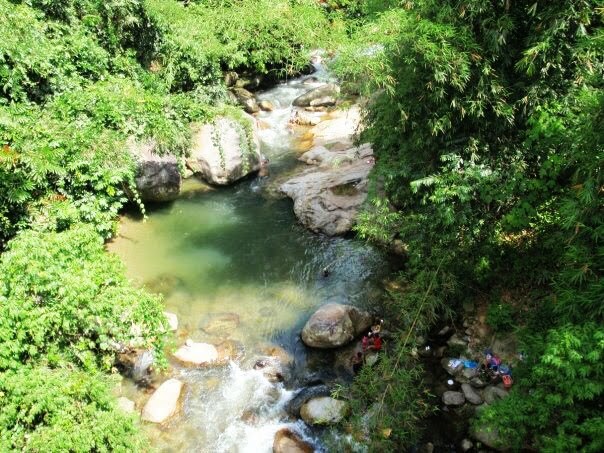 No matter what they name it, Batang Kali waterfall is such of beautiful waterfall to be visited and it is suitable for family picnic trip. First time visiting there, I am extremely impressed with the beauty of the stones are unique and different sizes. The water is very clean and cold until can make you trembling. Environment surrounded by green trees are reconciled and pleasant eyes. It is worth it to come here without regret that is my guarantee. So don't wait..... pack your things now, plan your trip to be there and have fun.